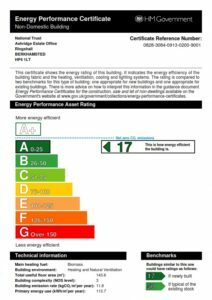 We were extremely pleased to learn last week that a recent project has been awarded an A-Rated Energy Performance Certificate (EPC). Our client was the National Trust; we recently completed the design and carried out project management for an extension to their Estate Office building at Ashridge Park near Tring. This included new offices and meeting room, and extensive alterations to the existing structure to create a new internal layout. 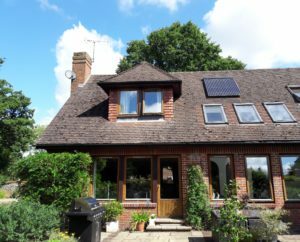 EPCs are awarded based upon the energy efficiency rating on a scale from G (less energy efficient) to A (more energy efficient). The refurbished and extended building saw a significant improvement due to higher levels of insulation, introduction of LED lighting and a new biomass boiler which has been installed. 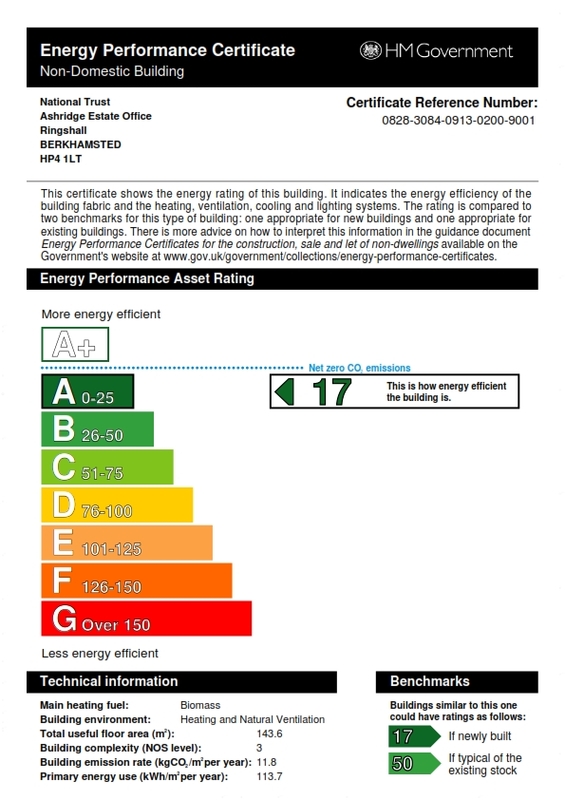 Fewer than 1% of commercial premises achieve an A rating so this is a very positive result. To find out how we can help improve the energy performance of your building then please do get in touch. 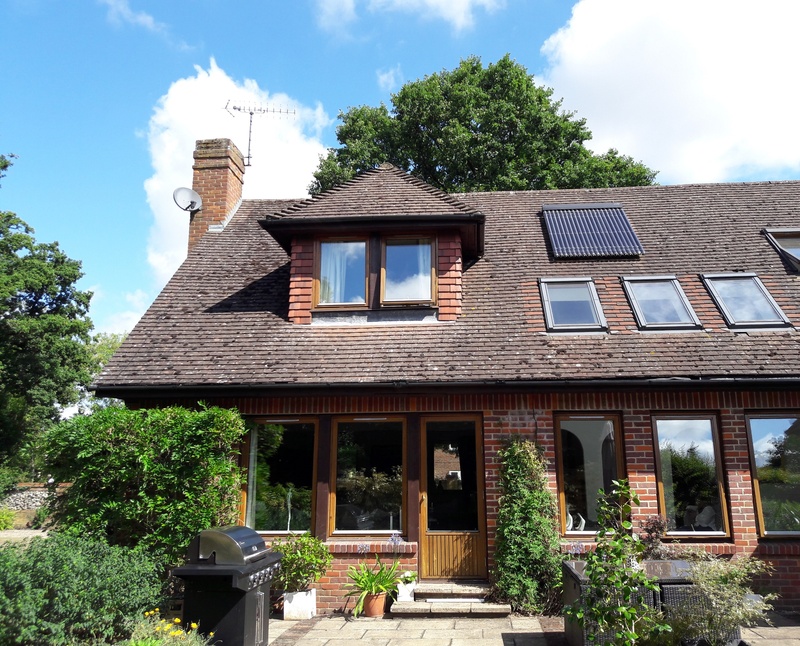 This entry was posted in Dacorum Borough Council, design, Energy Performance Certificate, EPC, extension, project management, refurbishment, renovation, sustainability on January 24, 2018 by admin.